No satin cushions for this lady traveller. 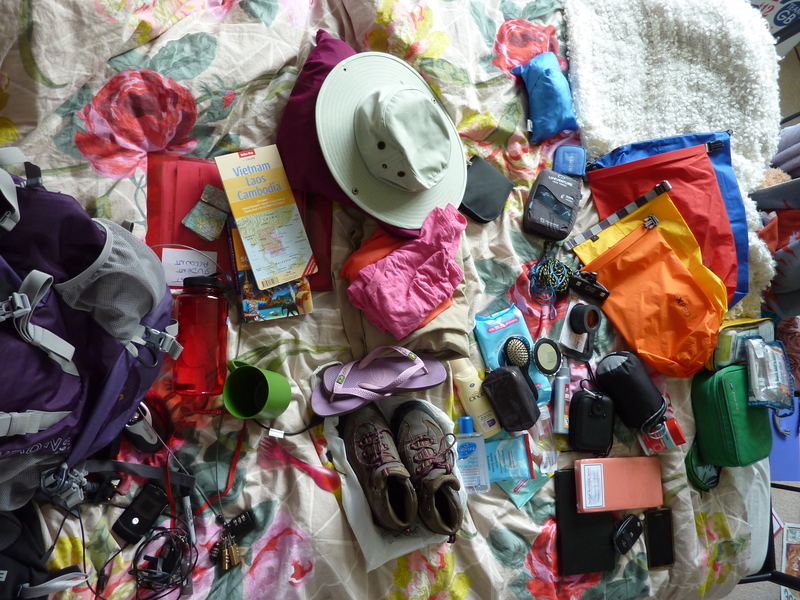 Items currently stuffed in my backpack include sleeping bag liner, mozzie net and spray, torch, padlocks, spork, pack of cards, flip flops… The only toiletries I’m bringing are a pack of wet wipes, suncream and multi-purpose soap – and no make up whatsoever. In fact my current face of foundation, bronzer, blusher, eyeshadow, liquid eyeliner and mascara is the last makeup I’ll be wearing for a fair few months. Liberation! Have rounded off a great summer at home with one of Mum’s Sunday lunches, something which I always miss when I’m away from home. Now of to the pub to say bye to friends before we jet off tomorrow evening. My next post will be from Hong Kong!